In Russia the vast majority of the population rides on the cars of domestic production. This is due to their low cost, however there is a minus - break our cars very often, and repairs in service significantly hits the pocket. For example, the furnace broke in GAZ 3110. How to remove it? To get directly to the stove, you will have to dismantle the dashboard. This process takes a certain amount of time, so be careful with the place where you will dismantle, it is better to put the car in the garage and it easily replaced the stove. In parallel with the replacement of the stove clean all the air ducts, which tend to become clogged over time. Remove the pads racks. To do this, Unscrew the three screws on each side. You will also need to remove the facing portion of the steering column, which is attached to the bottom by a few screws. 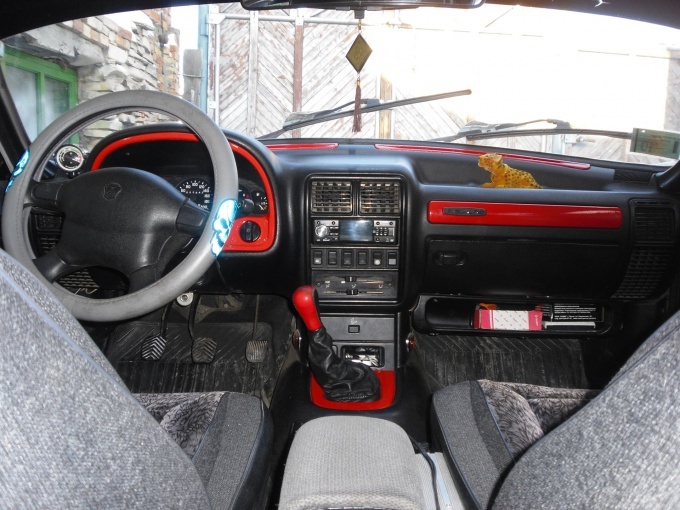 Requires the dismantling of the steering wheel, as it will interfere with the process of removing the panel. Then, remove the ring gear, which is attached to conventional clamps. Try to open them smoothly and neatly, which do not accidentally break. Now remove all the lining on the panel, remove the ashtray and cigarette lighter. To remove the side lining panels, you will have to Unscrew the screws that are located in the middle of these plates. Then remove the hazard switch, shift paddles on steering levers and control knobs operating modes of the stove. All of them are attached with small screws that you must Unscrew. Try all the bolts and screws carefully fold. It is best to do it on a clean sheet of paper, where you can tag the location of captured cogs. It should be remembered that all the work on dismantling the torpedo is made by taken the negative battery terminal. Now that all the little details and trim removed, you can proceed directly to the process of removing the heating unit. To do this, you can completely remove the panel, but you can not do that, not to worry with reverse installation. Unscrew the screws that directly hold the case panel. Then carefully pull up. The result of this procedure the torpedo to move back to 10-12 inches. This space is enough to get the heating unit. It is fastened by several bolts. Remove the bolts, carefully disconnect all wires and ducts that lead to it. Remember that when disassembling and removal, any kind of transaction you want to mark the wires and draw a detailed wiring diagram, so you do not confuse the order of connection. You can now perform all the necessary procedures with the heating unit. You should also clean all the ducts. This will greatly reduce the operating noise of the stove. Check integrity of all gaskets. If necessary, replace them with new ones. All work produce in gloves that do not dirty and do not damage hands.